“All I ask is that we don’t set a bad precedent because you don’t know who will be caught in it tomorrow. 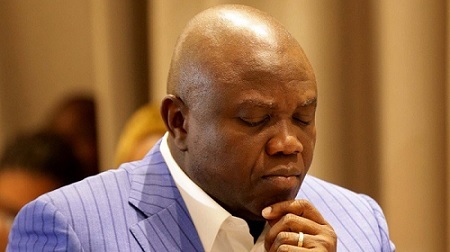 It is Akin (Ambode) today. It can be anybody tomorrow. How can you think of making a full-grown man a lame duck for four years? Isn’t that wickedness?” the source lamented. “As things stand now, if he [Ambode] goes ahead for the primary, he will lose. And if he goes to another party to contest the coming election, his impeachment will be activated. That is the stage everything is now,” the very reliable source told Saturday Tribune.